hi its jay here. 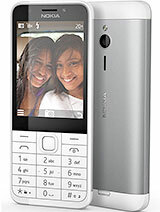 the only thing thts bad about this phone is it memory if it had a card slot i would love this fone to bits. at the moment i got 2 songs on the phone but i can put 1 more song on but then it will take most of my memory. the way i put music on is using usb cable and using a thing called musicmatch jukebox then go to my computer then my music then choose what u wont. Someone here know how to help me? M.Imran, I think that service settings are foremost for service personnel, but every advanced user can test phone and adjust these also... ;-). I have no idea about all menu listings... Maybe it's important for programmers? Matty, and all others (like me at first time): JUST SEARCH THIS FORUM ARCHIVE! I can offer optimal audio compression with dBPowerAMP using Nero Digital Audio AAC codec (~38 kb/s crisp sound with MONO (use Power Pack DSP to drop chan.) Qty.15 & LC-AAC sett.! Good luck! S.E. ETERNAL! the sound is off when taking pictures if the phone is on silent mode. thankyou sooo much Vykintas ive wanted to change the contrast for agess!!!! Can u tell me what the other things like service tests and text labels are for i mean what does they mean. Can u tell me where will i find details about these options. 10) fix contrast with joystick up/down." guys to silent the fone when ringing just press the # key. it's the same as the silent key in Nokia. I have also 2 questions: which is key combination to access brightness/contrast adjusting, FW info etc.? And is it possible somehow to connect USB flash disk as an external storage media for reading/writing? Thank You! press "more" key and select "turn on silent mode"
it's a graet phone.i can easily send and check my mails without hitting the computer.. This set is real good. I never faced any problem like low battery or s/w hanging. BTW I have not been able to find this: How to switch off the ringing sound without picking up the phone i.e. the phone is still ringing but ring has temprarily been disabled? I used to do it on my earlier nokia handset by pressing the right side key. Any idea how to do it on Sony Ericsson K300i? Pl. reply on my e-mail.